The writing has been on the wall for awhile now. 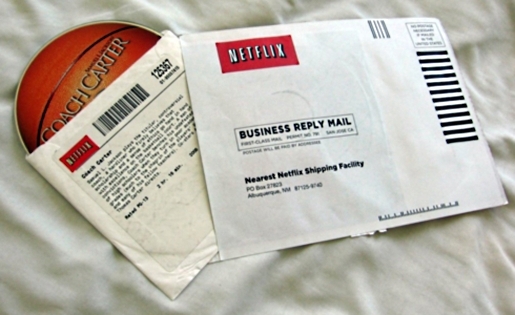 The incredibly-profitable Netflix, which tested a $7.99 per month streaming video only price point in Canada, has long said that their future was as a provider of streaming video, not as a DVD delivery service. Still, they keep offering DVD rental plans while beefing up their streaming, though the rates are going to change. Netflix is raising the prices of its DVD service by $1 per month for each DVD in the plan, but they are also debuting a streaming-only option for $7.99 a month. Basically, your plan will go up by a set number of dollars. If you have a one-DVD plan like I do, the price goes up $1. If you have the most popular option, the three-DVD plan, your price goes up $3. Still, at $19.99 for three DVDs at a time plus all the streaming video you want, Netflix is a bargain. It costs more than that to go out for a movie, once you add in gas, the ticket, the fees for 3D, and any other charges you might incur at the snack bar.